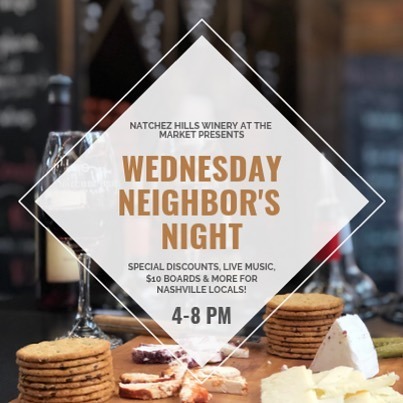 Join us every Wednesday for our Wednesday Neighbor’s Night. 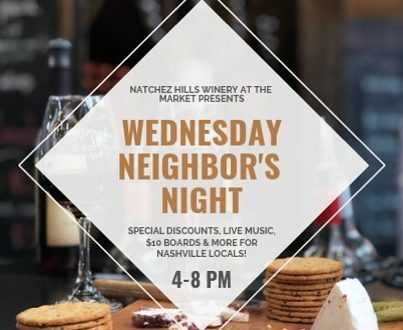 Enjoy live music, Wine & Cheese samples, $6 glasses of wine, special discounts, and a $10 meat/cheese board from 4pm-8pm. Come enjoy excellent wines mixed with a relaxing atmosphere located right in the heart of downtown Nashville.